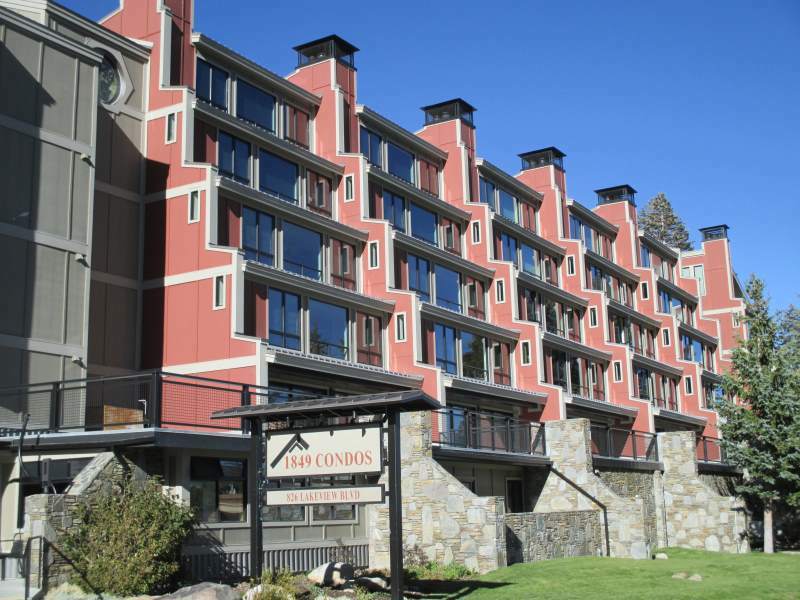 1849 condos for sale are located across the street from Canyon Lodge and the Village Gondola. Learn more about the complex and view active real estate listings updated daily from the Mammoth Lakes MLS below. The 1849 condos complex has two phases: Phase 1 units at 1849 condos have underground parking, and are located within the building closest to Canyon Lodge. Phase 2 units at 1849 condos for sale are a further walk from Canyon Lodge with no underground parking. Because of this, prospective buyers tend to lean towards the phase 1 units when they become available for sale. Many of 1849 condos offer spectacular views of the ski area, particularly Lincoln Mountain, Chair 22. The complex has a total of 101 units and was built in 1972. Major renovations to the exterior of the complex were completed a few years ago. The floor plans range from 2 bedrooms, 2 baths to 2 & loft, 3 & loft and 4 bedroom units. 1849 condos are very popular in the winter months when Canyon Lodge is open between Thanksgiving and mid-April. For additional information on any of these 1849 condos for sale in Mammoth Lakes, click the "Request More Information" button when viewing the details of a property. We can provide you with disclosures, past sales history, dates and prices of condos recently sold nearby, and more. And, be sure to register for a free account to automatically receive email listing alerts whenever new 1849 condos hit the market in Mammoth Lakes, CA, that match your specific search criteria. Listed below and updated daily from the MLS are condos for sale in 1849, a condo development located in Mammoth Lakes, CA.